I recently had the pleasure of making two special birthday cakes for celebrations in Mooloolaba. 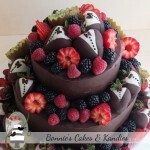 One of the cakes was covered with dark chocolate ganache and delicious, fresh berries. 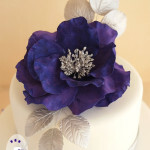 The second was made to suit a masquerade theme in purple, silver, and black colours. Let’s take a look! Made for an 80th birthday celebration, this cake was inspired by a similar cake that I made earlier this year. Each tier was a different flavour, both very well suited to the dark chocolate ganache covering. The top tier was a black forest cake with a ganache and cherry layer for the filling. 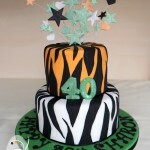 The bottom tier was made in chocolate fudge, with raspberry-flavoured white chocolate buttercream filling. 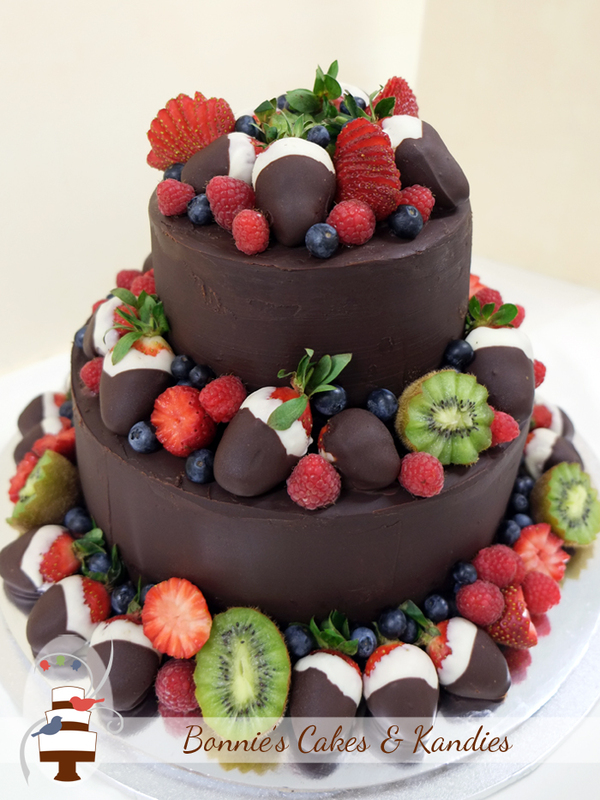 Adding beautiful colour and flavour, you can see the delicious fresh fruit which I used to cover the cake included a selection of fresh strawberries (some dipped in two layers of chocolate), blueberries, raspberries and kiwi fruits. With slices of cake to be served with yet more fresh berries purchased by my customers from the local markets, I am sure that the birthday celebrations were a delicious success! 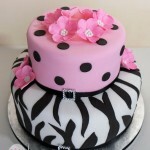 My niece Alesha contacted me earlier in the year to organise a cake for her 30th birthday party. (I still remember this beautiful lady as just a sweet little baby!) 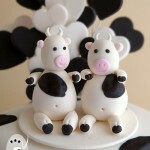 Alesha sent through a couple of pictures of cakes that she liked for design inspiration. 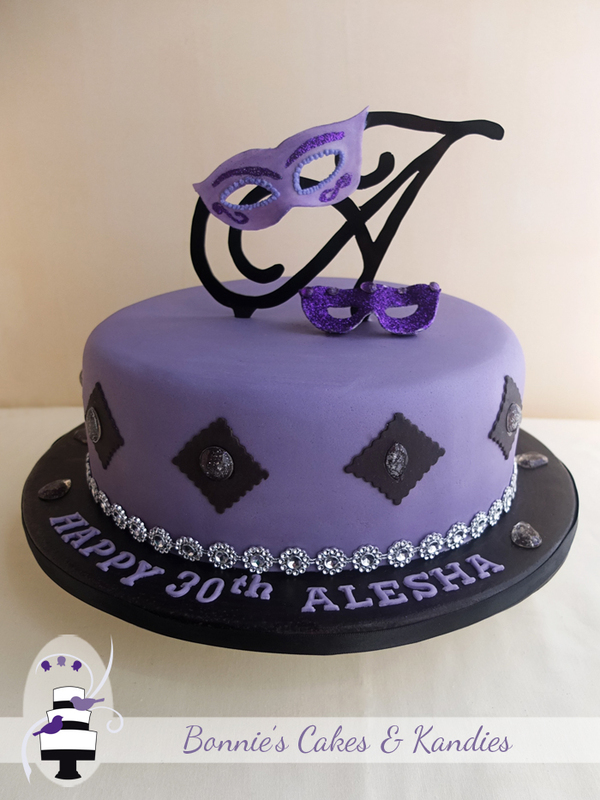 The theme colours were purple, black, and silver, and Alesha had a masquerade theme for her party. I made two edible masks for the top of the cake, and although not pictured above, I supplied a single, black feather which was to be added to the top of cake at the party venue, to continue the masquerade theme. Alesha chose gluten free white chocolate mud as the flavour for her cake, with a white chocolate fondant covering. A 30th birthday, an 80th birthday, a whole lot of yum! Whether they are new acquaintances, friends, or family – it is always lovely to help people celebrate their milestones in life. Thank you to my customers for the pleasure of making these two Mooloolaba birthday cakes!